Ngāti Whātua Ōrākei has issued a reminder to the government to honour commitments made by the Crown in the Treaty of Waitangi. The body in charge of the Waitangi Treaty Grounds, the Waitangi National Trust, has appointed two new members to its board and elected a new Chairman. 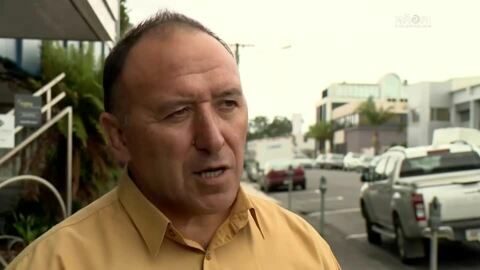 The newly-appointed Chair of the Waitangi National Trust, Pita Tipene wants the original Treaty of Waitangi document returned to be permanently housed in Waitangi. "To make Wellington a te reo Māori City!" This from Deputy Mayor Jill Day at today's Waitangi Festival on Wellington Waterfront where she announced to Waitangi Festival goers Wellington City Council's draft te reo policy, Te Tauihu that aims to see more te reo Māori in the city. The Royal New Zealand Navy continues its traditional involvement in Waitangi Day celebrations. It's been an exciting day in Waitangi today, Te Kāea reporters Heta Gardiner and Raniera Harrison have an update on what's been happening throughout the day. Government ministers and Labour Members of Parliament were all hands on deck to serve the public in a special breakfast hosted by Prime Minister Jacinda Ardern. 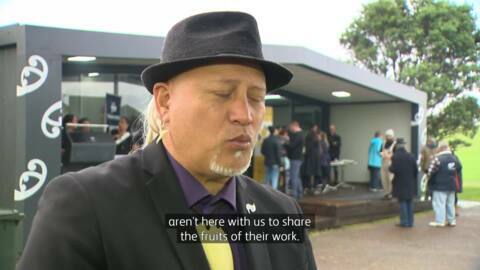 Ngāpuhi leaders spoke of the significance of this special gesture. It's been 178 years since the Treaty of Waitangi was signed and thousands of people gathered at the Waitangi Treaty Grounds for the traditional dawn service. Prime Minister Jacinda Ardern attended the service alongside Government ministers and Members of Parliament from National, the Greens and NZ First.